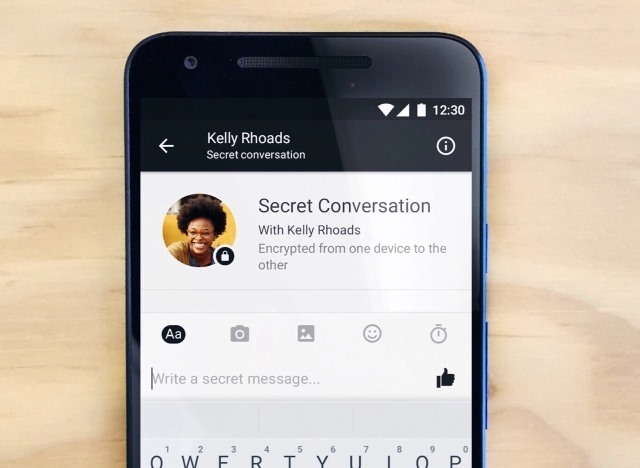 Continuing in its relentless drive to take over the world of messaging, Facebook Messenger is gaining end-to-end encryption. To start with, the security feature is only rolling out on a 'limited test basis' but if feedback is positive, it will get a wider airing. Facebook says that the move comes in response to requests for additional security options to protect discussions about sensitive matters, saying that security and privacy experts have been involved in the implementation of the feature. End-to-end encryption has grown in popularity in recent years, and Facebook users have been patiently awaiting its arrival on the platform. The feature is referred to as 'secret conversations', and it is based on the Signal Protocol developed by Open Whisper Systems. We are starting to test the ability to create one-to-one secret conversations in Messenger that will be end-to-end encrypted and which can only be read on one device of the person you're communicating with. That means the messages are intended just for you and the other person -- not anyone else, including us. Within a secret conversation, you can also choose to set a timer to control the length of time each message you send remains visible within the conversation. There are limitations to how secret conversations work -- including the fact that they can only be used on a single device, meaning they won’t necessarily be to everyone's liking. Messages protected with end-to-end encryption are limited to plain text; at the moment it is not possible to send images and videos. Check out the Facebook blog where you can see a video of the feature in action.